In 2008 Cedar Rapids was hit with a massive flood that devastated ten square miles of the city’s downtown. After the disaster, a group of concerned citizens retained PPS to help create a new public market to bring life back to the city’s core with the hope that it might become a regional destination. PPS conducted an in-depth analysis of the local food supply and community’s buying power and used detailed site-selection criteria to recommend the most promising place for the market. PPS also facilitated a well-attended vendor informational meeting and conducted a survey to gather feedback from potential vendors and customers. From this feedback, PPS produced a program of uses and activities ensuring year-round activity sustained by community buy-in. The plan for the new market consisted of several complementary elements, including a central Market House (with a café, permanent and temporary stalls, and a year-round market store). Since indoor markets often perform better with a flexible, well-programmed outdoor space, PPS’ recommendations also provided for a Market Yard with activities. Plans for the new public market included strategies to keep it open throughout the year, such as on-site production for a tortilleria, bakery, and coffee roaster as well as restaurants, wholesale distributors, and a commercial kitchen. 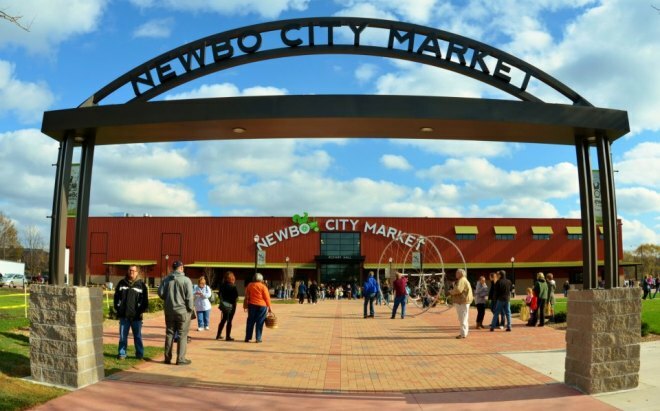 The year-round public market opened in October 2012 at the site of the former Quality Chef warehouse and is the cornerstone of the flood-impacted NewBo neighborhood. The centerpiece of this $4.25 million project is the Rotary Hall which features over 20 permanent tenants, with room for temporary food and high-end craft vendors, a special event space, a commercial kitchen and a soon to be completed aggregation and distribution space. Rounding out the public market, following PPS’s recommendations, is an outdoor area for over 150 seasonal vendors, special events and entertainment. The silver lining in an otherwise disaster, the opening of the NewBo City Market has created a central meeting place for downtown Cedar Rapids and has already started the revitalization of its neighborhood. 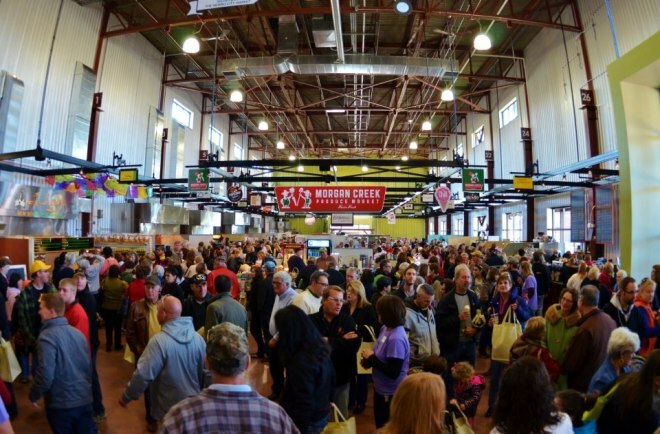 Cedar Rapids City Market, Inc.